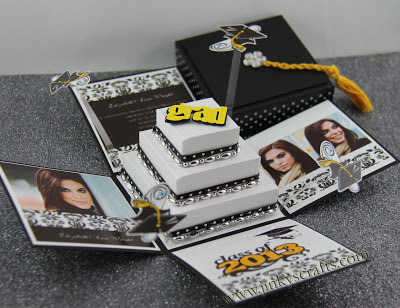 I have received many inquiries asking if I have a 2013 Graduation Box Invitation design yet. So in honor to the 2013 Graduates, I wanna share a "re-designed" Graduation Exploding Box Invitation or Graduation Announcement. I have simplified the design of our existing grad box and instead of a pyramid shape, it is now a cube box. 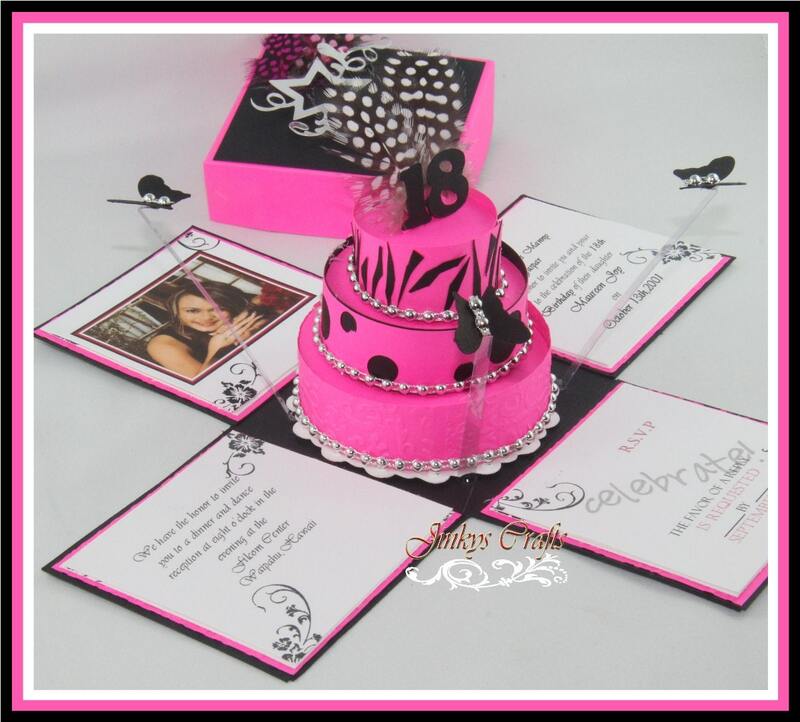 This new design has diploma and graduation hat cut-out pop-up floaties surrounding the square cake. The 3-tier paper cake is embellished with polka dot ribbon and silver plastic cake trimming. 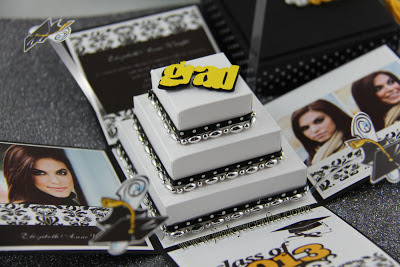 The cake topper is a cut out "GRAD" text or script. This Exploding Box Graduation Invitation is one of a kind. 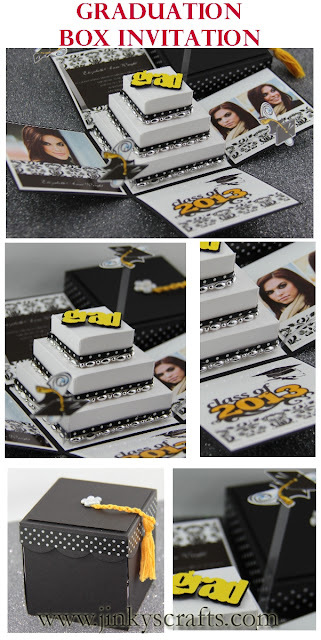 It is a very elegant, modern, innovative and personalized Graduation Invitation. 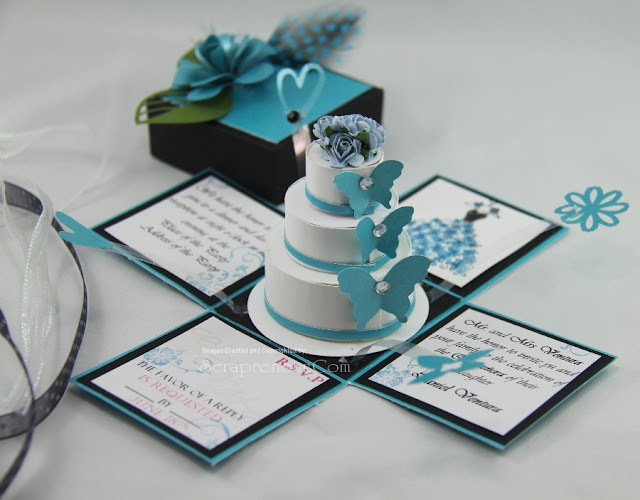 This design can be easily customized with your personal details and photos. Check Jinky's Crafts store for the PDF Tutorial which makes it easy for you to make this on your own. Or, we have also created a kit for your DIY Handmade Graduation Invitation or Announcement. For you grads, parents, or guardians of the graduate, I hope that this newest Jinky'sCrafts Graduation Exploding Box Invitation design inspires you and helps you to get ready for this celebration. Please come back soon as I will be sharing the dimensions and tutorial of this Graduation Tote Purse on my next post. Happy Weekend!